The unique Pigma ink is suitable for filing purposes. Pigma brush pen produces a permanent, colour, water and light-fast result on virtually any porous surface. The unique Pigma tint does not bleed through the paper and is permanent. The set contains 9 colours: Sepia, Brown, Red, Blue, Green, Black, Purple, Pink and Orange. Showing 2 Sakura Pigma Brush Pens - Set of 9 Colours reviews. Average rating of Excellent. Would you like to write a review? A nice quick delivery + lovely coloured brush pens = me, a very happy and satisfied customer! 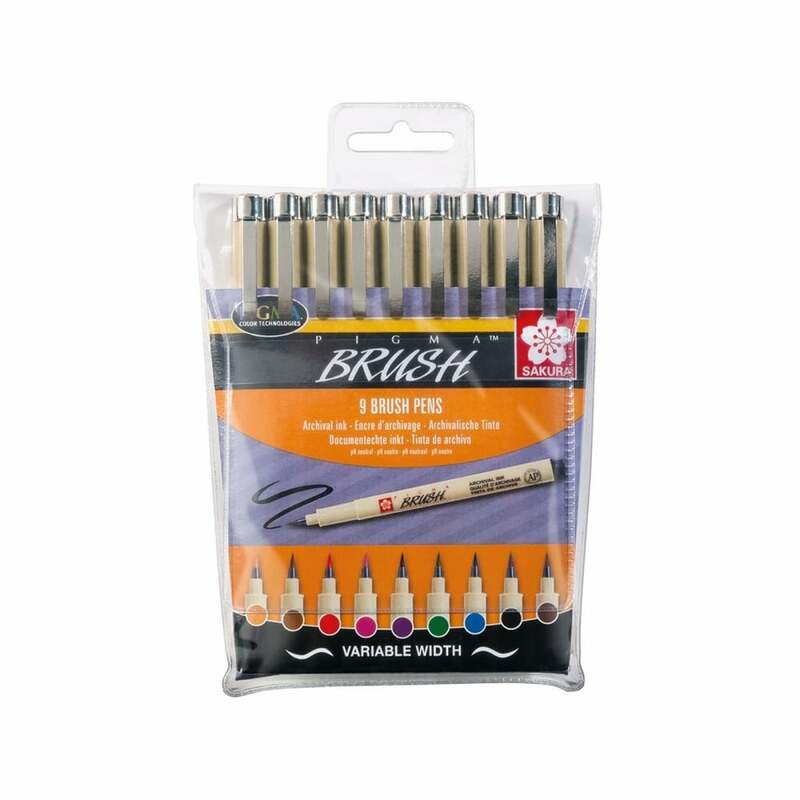 These brush pens are beautiful for colouring and to use with stencils, they are very effective used with stencils for card making. Lovely rich colours. The pens glide smoothly across the paper giving you the option of creating variable widths of brush strokes.